Terrifyingly, it’s almost Christmas, which means you should probably start mulling over what thoughtful gifts you’re going to get for your loved ones – instead of leaving it until the week before and handing over a bottle of wine, an airport bestseller and a box of Quality Street. The good news for you is that we’ve got a way you can gift your closest friends and family with memorable, fun experiences for Christmas: just buy them tickets to Sydney Festival events. You’ll look thoughtful and cultured, your gift will actually get used, and you’ll save a bunch of money (Multipacks can save you up to 10% when you book three or four events, and up to 20% off when you book five or more). Can’t find the perfect show below? Grab a gift voucher and let your loved one pick for themselves! Put aside the pashminas and hard-cover biographies: whether it's your mum and dad or mates who prefer a fun night on the town to serious German theatre, your absolute best bet is to score them tickets to Pigalle. The 70s disco romp through Paris’s red light district is headed up by the iconic Marcia Hines and cabaret sensation iOTA, and created by the team behind disco-spectacular VELVET. Le Gateau Chocolat is a stunning, towering bearded Nigerian-British opera baritone cloaked in drag and glitter, with a repertoire of comedy and classic hits from Whitney Houston and Madonna to Meat Loaf and Pavarotti. His Spiegeltent shows will be – guaranteed – some of the most fun nights out at the 2019 Festival. Get the whole family tickets to HOME, a theatre spectacular that’s recommended for ages 10+, where a two-storey house magically appears onstage before your eyes, created by award-winning illusionist and absurdist Geoff Sobelle. They may even end up being recruited as part of the performance onstage. Or if the kids are really little (ages 4+), nab tickets to The Nutcracker and I, a spellbinding performance of live classical music and ballet with stunning animated projections. You know that friend with red wine stains and cigarette burns on their rug, next to the comprehensive vinyl collection of bittersweet narrative songwriters such as Leonard Cohen, Nick Cave, Jacques Brel, PJ Harvey and later day David Bowie? Treat them to a night with storyteller-in-song Camille O’Sullivan, as she pays tribute to the work of fallen heroes Bowie and Cohen, as well as other moody music maestros. 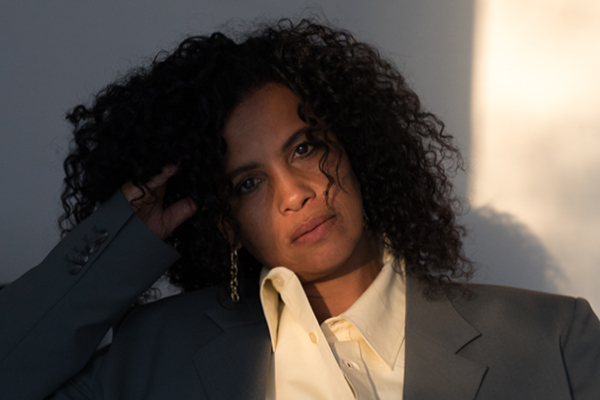 Treat them to some well-earned nostalgia with tickets to riot grrrl/trip-hop/dance-pop icon Neneh Cherry. It’s a fact: many children born in the early 90s were conceived to the soundtrack of Massive Attack’s Blue Lines, which featured Neneh Cherry as arranger (Massive Attack had also contributed to Cherry’s blistering dance-pop debut Raw Like Sushi). Nearly three decades later, Cherry’s recent albums Blank Project and Broken Politics are taut, personal and political affairs with sophisticated production by Four Tet and Massive Attack’s 3D, and her live shows are blistering dervishes of old classics and new hits. Got a woke young adult to buy for? Tackle weighty emotional issues delivered with spectacular stagecraft in Man With The Iron Neck, a powerful new theatre work by Legs On The Wall, written by Ursula Yovich. After something equally politically and emotionally potent, but with a bit more party? Take them along to Old Stock: A Refugee Love Story, the true tale of two Jewish refugees seeking a new home in Canada in the early 20th century, powered by a band playing high energy klezmer-folk music. It’s time for the big guns – bring in the Serious German Theatre. Revered and forward-thinking theatre troupe Schaubühne Berlin worked with Complicité’s multi-award-winning director Simon McBurney for Beware of Pity, a timely parable about compassion and miscommunication in a world stumbling towards war. Alternatively, spring for some German language opera with the William Kentridge-designed production of Wozzeck at the Opera House. Got a friend who prizes their limited-edition presses of Charlie Mingus records? Treat them to a night of jazz music so rare it nearly vanished from the face of the earth. Shidaiqu is a 1930s hybrid of Chinese folk and Western jazz, which was hugely popular in the jazz age but was banned after the Communist Revolution. Interest in the hybrid genre was reignited after a crate of original Shidaiqu pressers were found in an old EMI warehouse in the early 2000s. 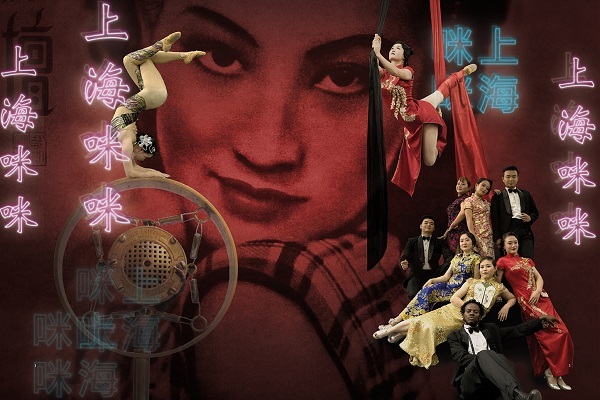 Shànghǎi MiMi celebrates the music and cosmopolitan cabaret culture of Shanghai in the 30s, with a hotshot live band, acrobats and dancers. And if you really feel like splashing out, get them tickets as well to see the godfather of Ethio-jazz, Mulatu Astatke – blending East African instruments and rhythms with the swing of jazz – backed by his high-energy Australian touring band Black Jesus Experience. 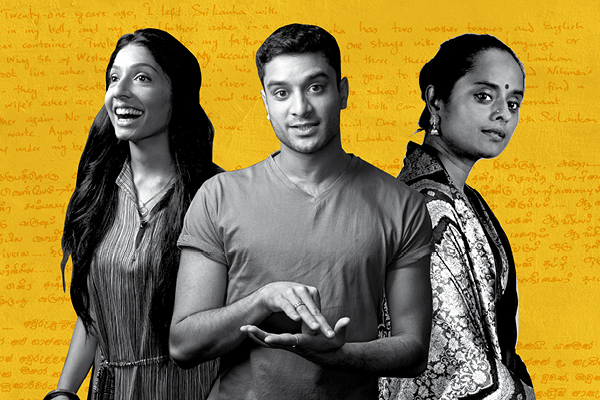 It might be time for them to see new Belvoir co-production Counting and Cracking, a multigenerational epic that focuses on a Sri Lankan family resettling in Australia that’s really a large-scale story about the ways in which Australia’s entire history and national identity has been shaped, and reshaped, for the better by generations of new arrivals from across the globe.